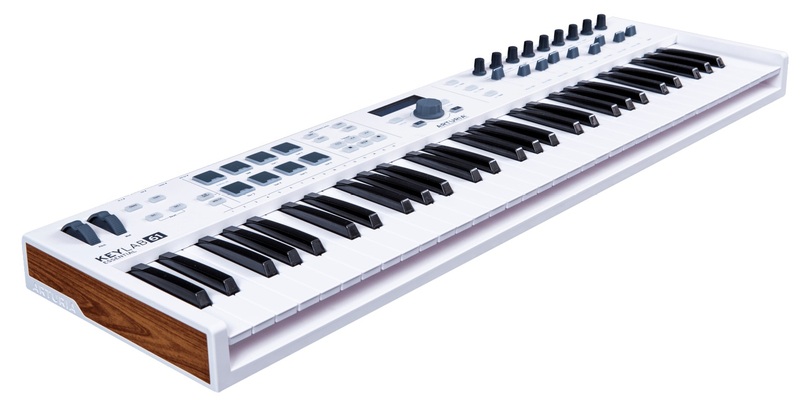 Arturia has just launched Keylab Essential series of affordable and fully-featured midi controller keyboards. 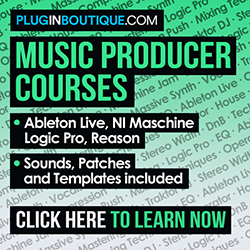 The main idea is to offer a universal midi controller in a very intuitive interface, perfect for producers, musicians, and performers. There are two models available so far: 49 and 61 (49 and 61 keys, respectively). Both come with nine faders, nine knobs, one clickable encoder, pitch bend and modulation wheel. There are also eight touch and pressure-sensitive pads. All controls are fully assignable. Keylab Essential series also have a DAW Command Center section, with four buttons: Save, Punch, Metro and Undo. Those will work closely with the Transport section so that the user can focus on the music, rather than on the computer screen. The product has a twin-line LCD display, where is possible to access all parameters, as well as controlling other virtual instruments, such as Analog Lab 2. The included software gives the user access to more than 5000 presets from the award-wining V Collection of legendary classic keyboards. Included are also Ableton Live Lite and UVI Grand Piano Model D, which is a sample-based recreation of Steinway Model D grand piano. The rear panel has a MIDI Out jack, a sustain pedal input, USB port for both power and data, and an additional DC input. – UVI Grand Piano Model D included.